This year Mr M&TTT had to work on Easter Sunday, but was off on Easter Monday. The kids were all hyped up on Easter treats and I wasn’t feeling quite at my best, having come down with a really nasty cough and cold. 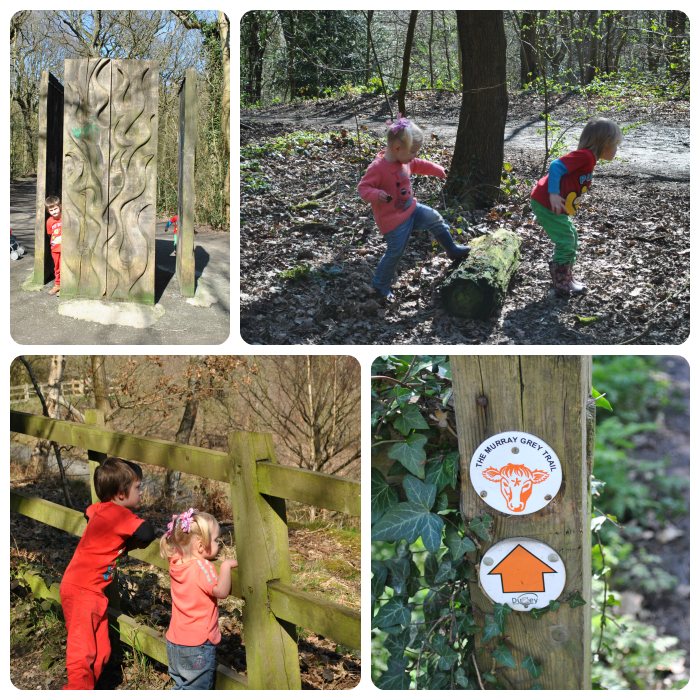 The weather seemed quite good so we decided to take the Tiny 3 on a walk around the local woods to burn off some of their energy and hope that fresh air really does do you good when you have a cold. 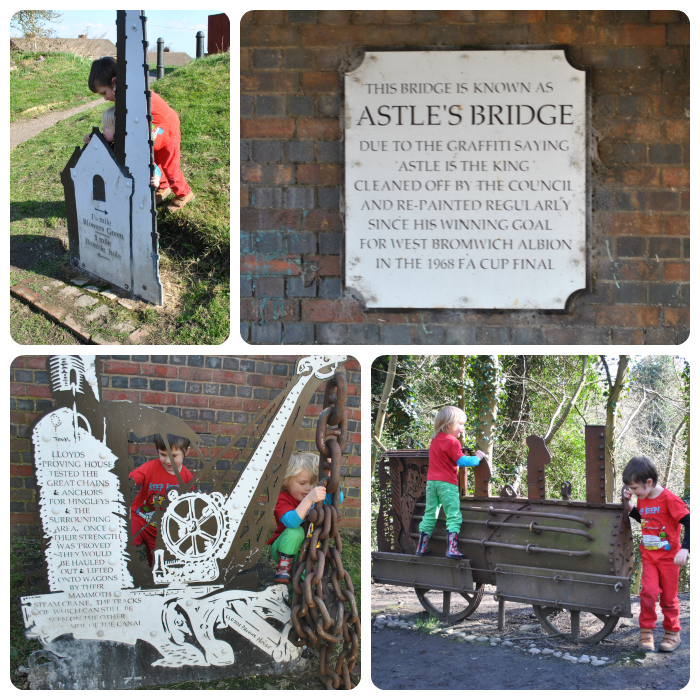 The 1st part of our walk involved finding and investigating local sculptures depicting the industrial history of the area. It always amazes me how beautiful my local area is when I see pictures of the industry which these sites used to house. As a West Bromwich Albion supporting family the Astle’s bridge sign is particularly special. On the way to the woods the tiny 3 watched some horses in a field, and enjoyed walking of the track in the fallen leaves and branches being real children, having a proper childhood without a worry or care in the world. 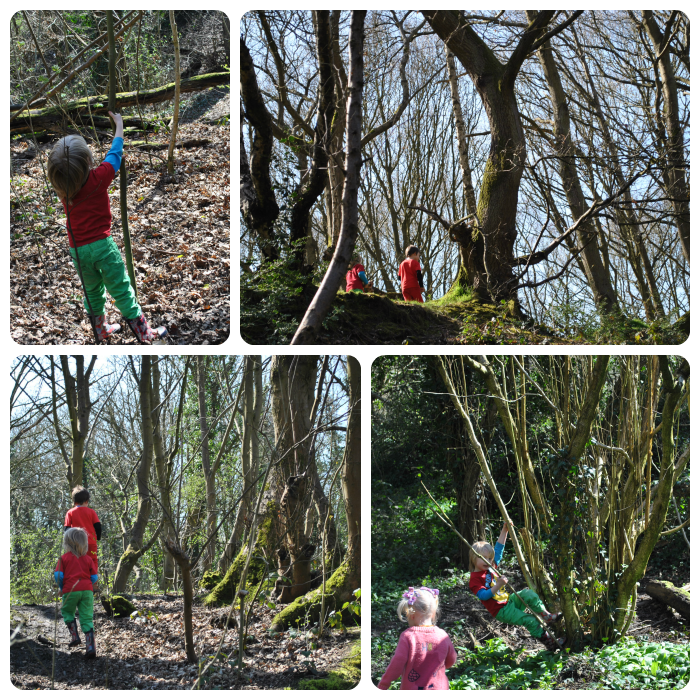 Exploring every log, branch and field. I was really impressed with how they all interacted with each other and helped each other out to climb. 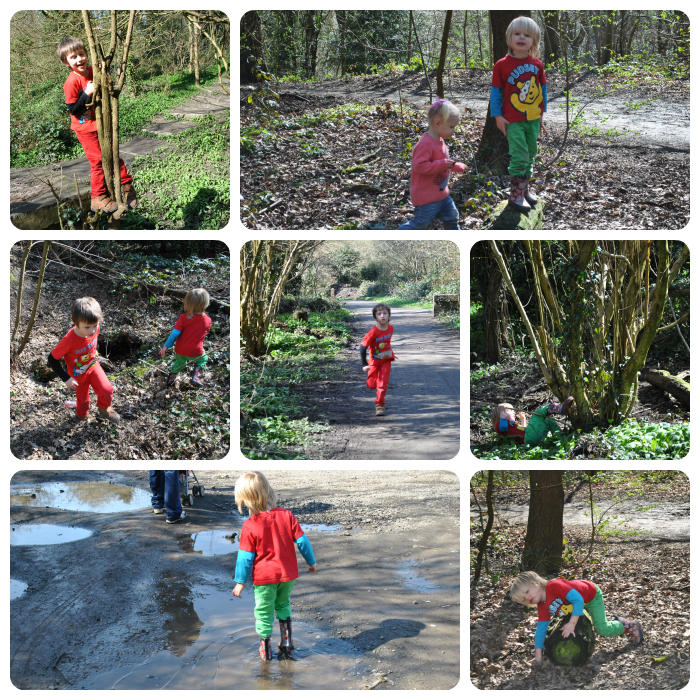 It was lovely to see them just running freely together, not concerned about whether their clothes or hands got muddy and most importantly not arguing with each other as they had seemed too all morning. 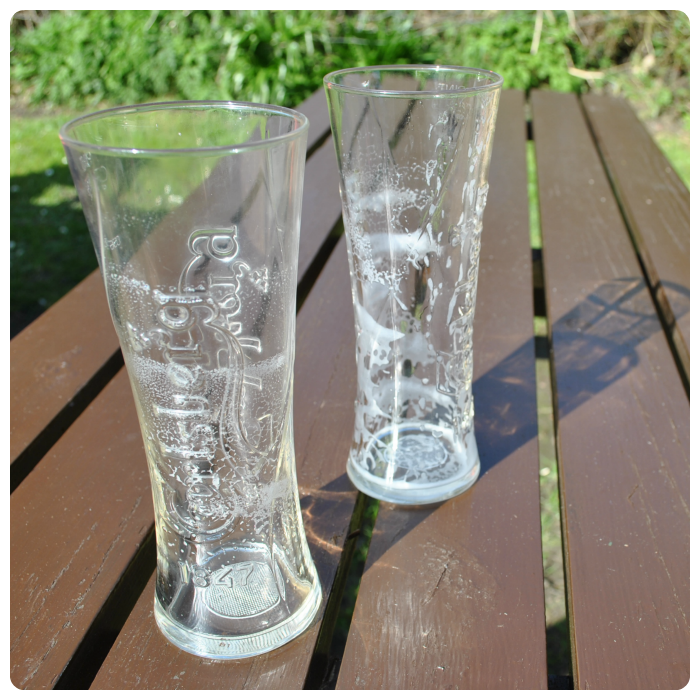 After all the walking we decided we all needed a bit of refreshment before starting the long walk home so we headed to the local beer garden where the kids could play on the swings, slides and climbing frames and we could enjoy a nice refreshing lager. What a lovely day out! My kids tend to interact more positively out in nature as well. It looks like a perfect bank holiday Monday to me, totally made by how lovely your children were together. I find any day out is a success when the kids get along and enjoy each other’s company, it looks like the sun shone for you too to complete your day. I hope the cold didn’t come to much. Thank you for sharing your day on Country Kids.